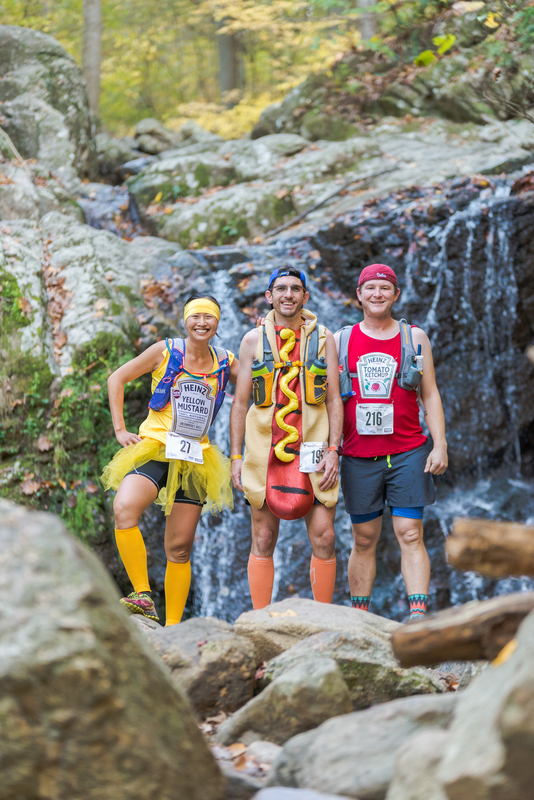 The 6th annual Patapsco Valley 50K will take place on October 26th, 2019. Registration is open here! Course highlights include Cascade Falls, the soon-to-be-removed Bloede Dam, the ruins of the Orange Grove Flour Mill, as well as the Avalon Nail and Iron Works ruins. Not to mention gorgeous views of the Patapsco River throughout! Runners not reaching the Pavilion Aid Station II (~mile 23) by 2:15pm will be asked to discontinue their race and enjoy the after-party. This is to ensure safety of our runners, volunteers, and EMS staff. If you do not reach the cutoff at that point, please respect this rule and enjoy the afternoon at the pavilion. Official final cutoff for the race is 10 hours (5:30pm). Any runner finishing after this time will not receive credit for officially finishing the race. 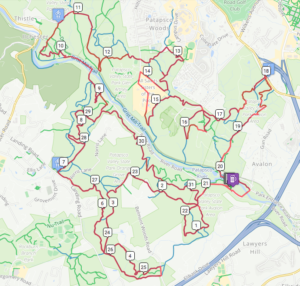 The race begins and finishes near shelter #105 in the Avalon Area of Patapsco Valley State Park in Baltimore, MD (use 5120 South St., Balto. MD, 21227 in your GPS to get to the park entrance). ONLY RUNNERS WITH A PRE-PURCHASED PARKING PASS MAY PARK INSIDE THE PARK! See note about shuttle below! You will be able to stage one drop bag at the pavilion in a designated area. Runners will have access to their bag at ~mile 23 at the Pavilion Aid Station. Pacers and crews are not allowed at any time! 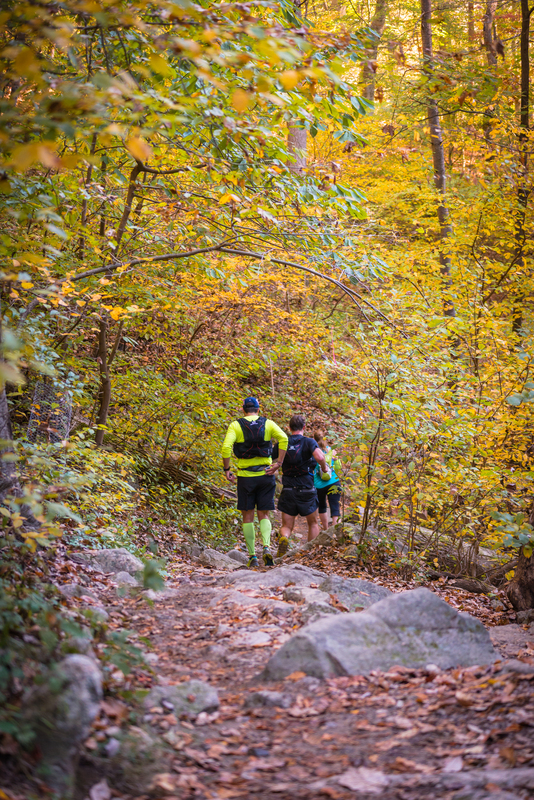 Due to the substantial growth of the Patapsco Valley 50k, we will provide a shuttle from the S. Rolling Rd. Park & Ride to the start/finish for all runners beginning at 5:00am. The shuttle takes ~15 minutes to get from the Park & Ride to the start/finish. Shuttles will run ~every 15 minutes with the last shuttle departing at 6:45am. 2017 MAP- NEW MAP TO COME! We need volunteers for aid stations, packet pick-up, course marshalling, course sweeping, post-race cleanup and more! 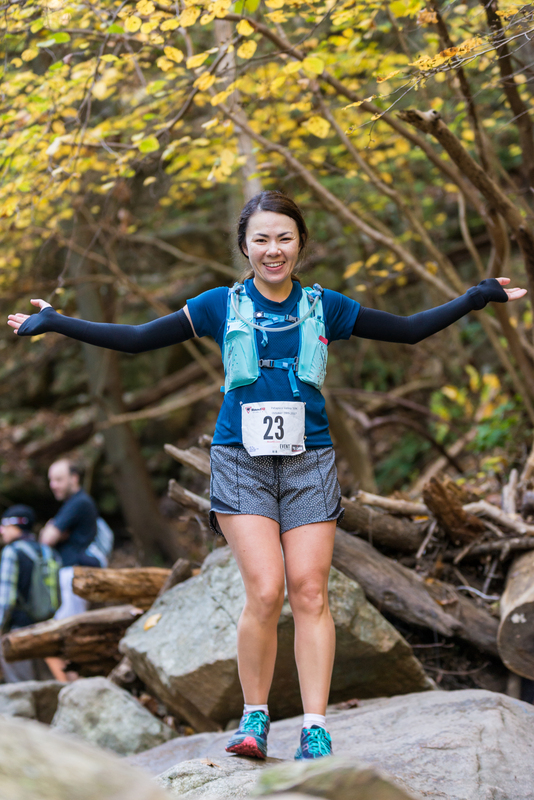 Take part in one of the biggest and most impressive trail ultramarathons in the entire country, in amazing Patapsco Valley State Park, in the Avalon Area near Baltimore, Maryland.